Amazing captures, Pietro, your photos are always beautiful and interesting. Thank you for the beauty! Oh, yes! Gorgeous captures as always, Pietro! I love the variety and the beauty and the architecture! Superb! Hope your week is going well! Pietro, congratulations to the "young" nation! 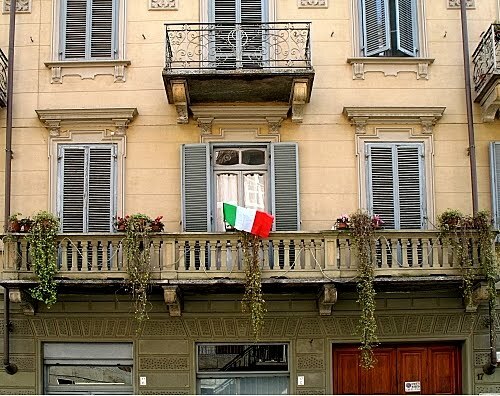 When I see your pictures with the beautiful buildings and balconies I long to visit Italy very soon! 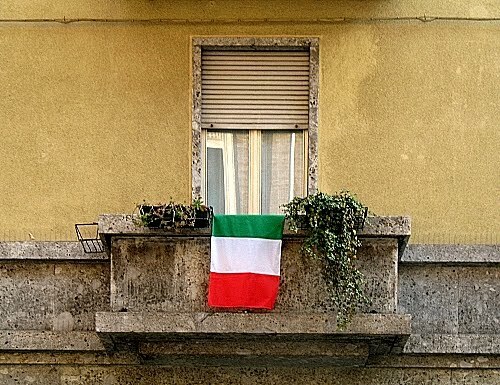 Happy birthday Italy! Any celebrations? Great shots. Wish you Happy anniversary. So many different ways to display a flag and to show love for one's country! Love the colors of your flag. Each buildings have its beauty and I love all them. 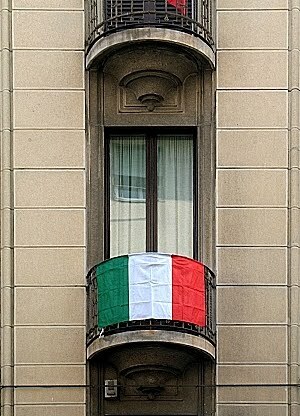 Brazilian people have much in commun with Italy and also we have much affection for Italian people. Oh, wow! Happy anniversary! Wonderful photos of the celebration. Wow! what a great series. To my eyes there is nothing so lovely as a flag unfurled. Happy birthday to your lovely country! 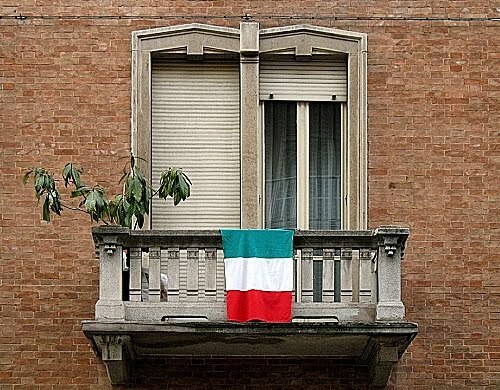 Buon compleanno Italia:)) Le decorazioni piú belle in questi giorni.Sei bravissimo. 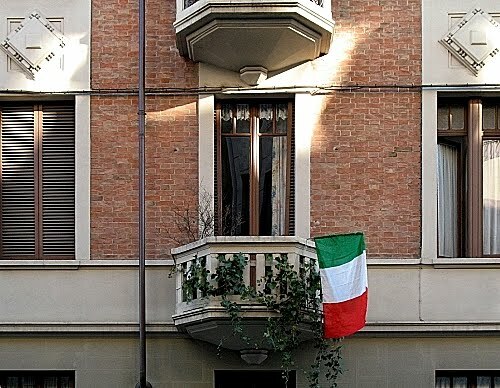 Buon compleanno ad un grande popolo!! Ciao Pietro, Buon week end. 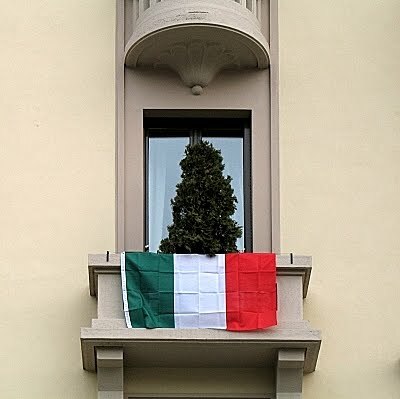 Ah Torino si è vestita a festa! 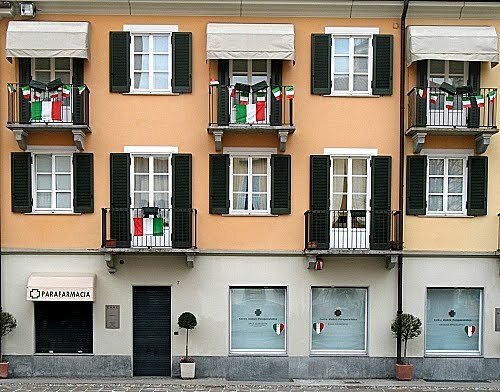 Bella serie, le bandiere si sposano molto bene con i palazzi del 900, ottima scelta dei soggetti!!! 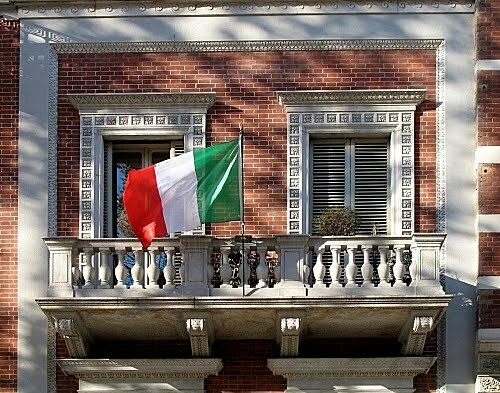 Un abbraccio Pietro e buon week-end.... la mamma, per fortuna, va un pochino meglio. 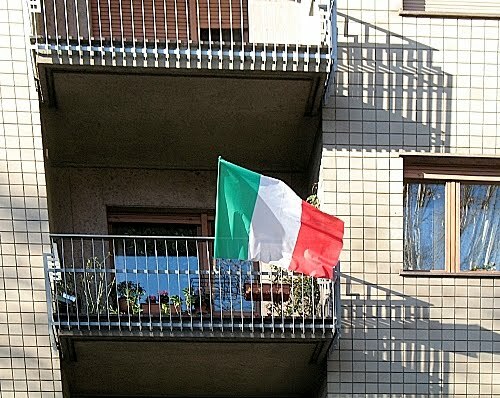 Magnifica parata:-) Chissà perchè questi posti mi sembra di conoscerli:-)) Buon fine settimana Piero ed un cordiale saluto e tanto sole. Hi Pietro! 150 years... That's not much... ;) But the verandas look lovely!! OK; I know that contemporary art doesn’t take unanimous approval... 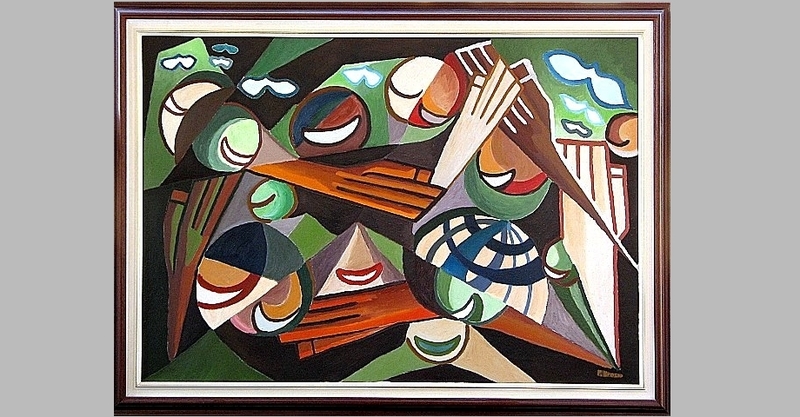 But some pieces are worth seeing. Check it at Blogtrotter Two, enjoy and have a superb weekend!! What Cloudia said! A beautiful post to honor a beautiful contry. 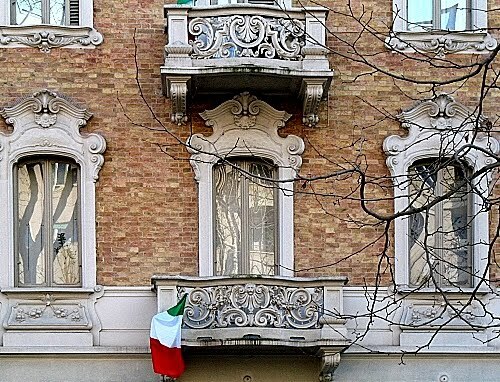 Con le tue immagini Torino è piu' bella che mai...Grazie Pietro e buona serata. 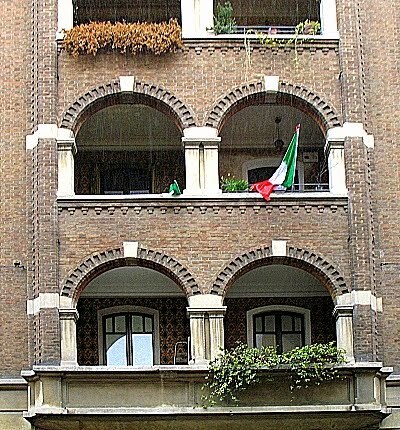 Non riesco a capire, non ho più il tuo link nel mio blog. O ho fatto io un grande pasticcio o... non so, qualcosa non funziona. Vado a rimetterlo subito. Intanto ti saluto e ti auguro una dolce serata! Buon inizio primavera che un pò si confonde con un giorno d'autunno, ma l'aria intorno ha qualcosa di dolce e nei prati spuntano i primi fiori. 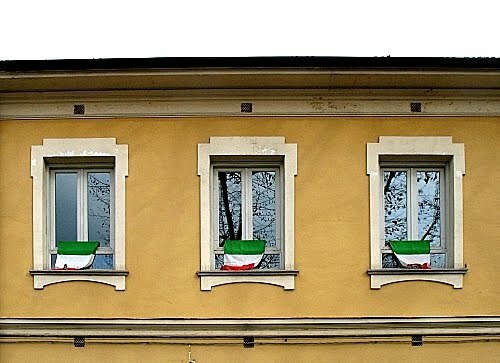 I enjoyed seeing a lot of flag that people decolated on their houses! I believe in everything going well! 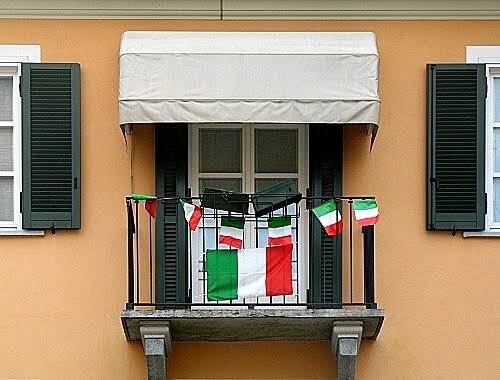 Tanti auguri, bella Italia! Love the spirit of the celebration. You've captured a lot of pride! 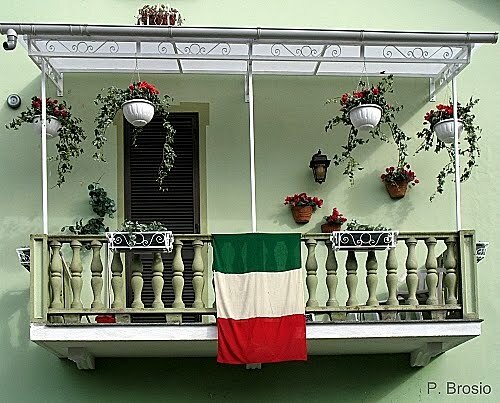 I love that last photo - beautiful balcony!!! take pride of the country! it's good to see people having those flags to prove patriotism. Lovely to see so many flags proudly displayed. 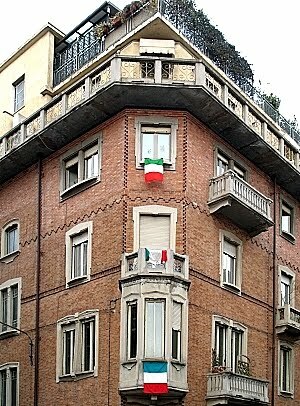 It is nice to see the country showing pride in its anniversary. 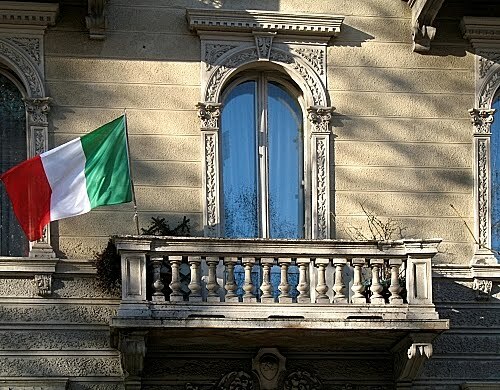 Bringing a unified Italy about was not accomplished easily. 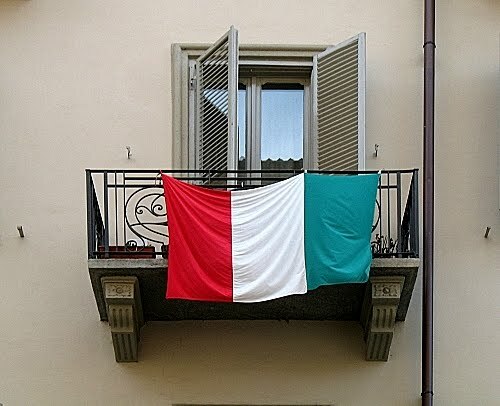 Pietro: Wonderful captures of your flag and colors.